Well read on to find out exactly what happened and whenever the Swans played on 16th December. 3 years ago on 16 December 2012 – Fourth placed Tottenham Hotspur beat the Swans 1-0 in the Barclays Premier League at White Heart Lane. The Swans remained in 10th place in the table despite a 2nd successive league defeat. 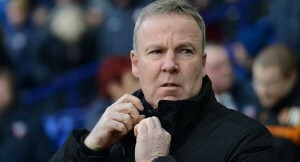 9 years ago on 16 December 2006 – Kenny Jackett’s Swans hammered Carlisle United 5-0 at the Liberty Stadium in Coca-Cola League One, thanks to goals from Dennis Lawrence, Rory Fallon (2), Darren Pratley and Andy Robinson. The win – in front of a 12,550 crowd – saw the Swans move back into the Play-Off places. 15 years ago on 16 December 2000 – The 2nd from bottom Swans crashed to a 2 nil defeat at AFC Bournemouth in Nationwide League Division Two. 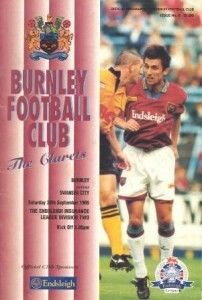 20 years ago on 16 December 1995 – The Swans fought back from 2 goals down to draw level with Burnley, before conceding two goals in the last 15 minutes to end up losing 4-2 at Turf Moor in Endsleigh Insurance League Division Two. The crowd of 2,078 saw the Swans score through Steve Torpey and loanee striker and debutant Glynn Hurst. Caretaker manager Bobby Smith also gave a debut to another striker on loan – Jamie Barnwell-Edinboro. 26 years ago on 16 December 1989 – The Swans under the helm of manager Ian Evans, lost 2 nil at Wigan Athletic in Barclays League Division Three. 35 years ago on 16 December 1980 – An Alan Curtis penalty gave the Swans all two points as they beat Watford 1-0 at the Vetch Field in front of a Football League Second Division crowd of 13,305. 37 years ago on 16 December 1978 – Despite an Alan Curtis brace, non-league Woking held the Swans to a 2-2 draw in the FA Cup 2nd Round at the Vetch Field in front of a 4,800 crowd. Was at every one of those games COYS.